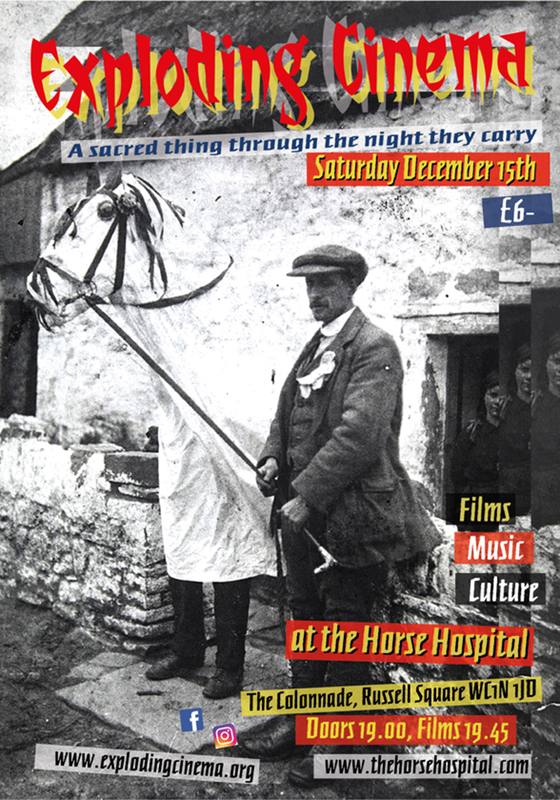 Exploding Cinema closes out an amazing year of shows with a last ride on the Horse Hospital pony. A collection of new, independent short films on every topic and in every style that is out there (and some are really out there). Drama, Experimental, Comedy, Music, Animation, Surrealist and just plain bonkers films comprise the line-up, with music, raffle prizes and psychedelic mayhem as the inevitable Exploding backdrop. Exploding Cinema has been trotting along and evading the knacker's yard since 1991 and since then has played host to literally thousands of films of all budgets and sub-20 minute lengths. In the process, hundreds of filmmakers' careers have been kickstarted and myriad talents honed. So come on down to the dark corner of Central London that hides behind Russell Square tube station and for one night be one part of the underground that is very handy for the Underground.